About Paytm BHIM UPI :- Currently Paytm BHIM UPI is available in Android version but coming soon in iOS. Paytm aim to the country’s largest issuer and acquirer of UPI, and establish the most comprehensive payments system in the country. You can create your own Paytm BHIM UPI ID on the app, which will be your [email protected] by default. 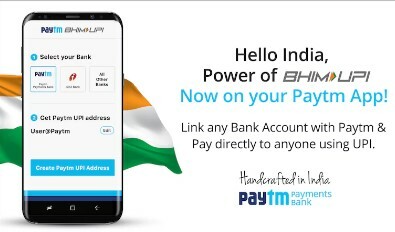 You can link any of your savings bank account with this unique Paytm BHIM UPI ID and start sending & accepting money. 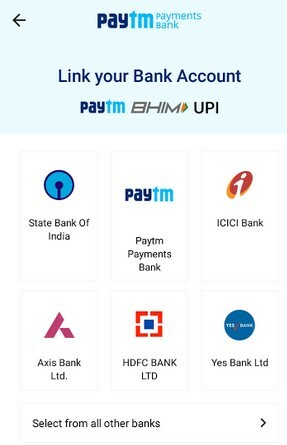 Paytm BHIM UPI ID are being accepted across all banks and BHIM UPI apps. 11. Your Paytm BHIM UPI ID created successfully. 1. What Is BHIM UPI ? 2. What Is A UPI ID ? 3. 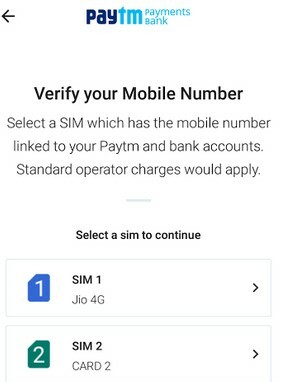 How Do I Create A Paytm BHIM UPI ID ? 4. Can I Edit My Paytm BHIM UPI ID ? 5. Can I Link The UPI ID Created On Paytm With Multiple Bank Account ? 6. Is It Mandatory To Open A Paytm Payments Bank account To Create A Paytm BHIM UPI ID ? No it is not mandatory to create a Paytm Payments Bank account to create a Paytm BHIM UPI ID. 7. Is There a Per Transaction Limit On BHIM UPI On Paytm ? You can transfer upto Rs.1 Lakh per day using BHIM UPI. 8. Where Can I View My Paytm BHIM UPI Transactions ? 9. What Are The Charges For Transferring Money Using BHIM UPI ? 10. Can I Pay From My Paytm Wallet Using My UPI ID ? Tags :- How To Create Paytm BHIM UPI ID, Paytm BHIM UPI App, Paytm BHIM UPI ID.